Yesterday Facebook CEO Mark Zuckerberg was front and center before a joint Senate committee answering questions regarding Facebook practices as to user information privacy and their obvious pattern of political bias. Sen. Ted Cruz (R-TX) asked, are you a neutral public forum or are you engaged in political speech? Sen. Cruz then went on to point out to Mr. Zuckerberg that many Americans are concerned that Facebook is biased against conservatives. Cruz went on to ask why Facebook suppressed conservative news and why Facebook shut down certain pages it deems controversial, naming examples such as as “Chick-fil-A appreciation day” page, a post from a Fox News reporter, and Trump supporter Diamond and Silk’s Facebook page. Facebook deemed Diamond and Silk’s Facebook page, two black conservative women, to be unsafe to the community. Questioning Facebook CEO Mark Zuckerberg at a Senate hearing Tuesday, the Republican senator and former GOP presidential candidate said that to many people there “appears to be a pervasive pattern of political bias” after some conservative pages were taken down from the platform. In a series of pointed questions, Cruz asked Zuckerberg if he had tracked the political affiliations of his employees. Finally, Facebook has been outed for what they truly are, a liberal, Left-wing, bias media platform. Facebook and Zuckerberg are not interested at all with a platform of all ideas. If that was the case there would not be so many examples of right leaning web sites being penalized by Facebook and even taken down. Zuckerberg could not come up with one example of a Left leaning site that was treated the same. Imagine that? The senator cited the 2016 controversy over how Facebook editors handled conservative-leaning political news in the trending topics feature. He also questioned why Facebook shut down certain pages it deems controversial, naming examples such as as “Chick-fil-A appreciation day” page, a post from a Fox News reporter, and Trump supporter Diamond and Silk’s Facebook page. “Senator, let me say a few things about this. First, I understand where that concern is coming from because Facebook and the tech industry are located in the Silicon Valley which is an extremely left-leaning place,” Zuckerberg said, addressing Cruz. “And this is actually a concern that I have and that I try to route out in the company — is making sure that we don’t have any bias in the work that we do. He added that it was a “fair concern” before Cruz cut Zuckerberg off to ask if any left-leaning pages, like those of Planned Parenthood, Moveon.org, or Democratic candidates, had been shut down by Facebook. Zuckerberg said he was “not specifically aware” of any pages that may or may not have been shut down. Cruz pointed out that Facebook has 15,000 to 20,000 people working on security and content review, and asked if Zuckerberg was aware of those employees’ political orientations. “No, Senator, we do not generally ask people about their political orientation when they are joining the company,” Zuckerberg replied. The Cleveland Division of Police have a manhunt for a murder suspect who shot and killed a man live on Facebook Sunday afternoon. The suspect’s name is Steve Stephen. 37 year old Steve Stephens is suspected of killing 74 year old Robert Godwin on Sunday in a residential area east of Cleveland. Police have issued an aggravated murder warrant has been issued for Stephens. Police consider Stephens to be armed and dangerous. The Cleveland Division of Police is searching for the suspect who shot and killed a man live on Facebook Sunday afternoon. The murder happened on East 93rd in Cleveland. Police said the shooter broadcasted the deadly shooting live on his social media page and claimed to have committed other homicides. Police are still investigating those claims. Homicide Suspect – Armed and Dangerous Steve Stephen. Cleveland Police are currently investigating a homicide at 635 E. 93. Suspect did broadcast the killing on Facebook Live and has claimed to have committed multiple other homicides which are yet to be verified. 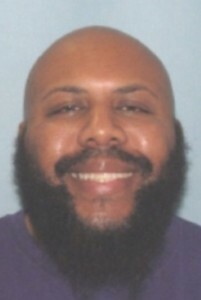 Suspect in this case is a black man, Steve Stephens 6’1 244 bald with a full beard. Wearing dark blue and grey or black striped polo shirt. White or cream colored SUV. If seen call 9-1-1. Do not approach. It would appear that this scumbag wants his 15 minutes of fame and he is using Facebook to get it. Hopefully the police will end his before this SOB kills again. UPDATE I: Cleveland’s mayor and chief update media on the hunt Cleveland Steve Stephens. In an age of social media narcissism where teens do nothing but post embarrassing pics of themselves, an 18 year old Austrian teen is suing her parents for posting photos of her without her consent. The teen claims that since 2009 they have made her life a misery by constantly posting photos of her, including embarrassing and intimate images from her childhood. It is the first of it’s kind case in Austria. No kidding? Why does this sound more like the whining nature of today’s immature millennials who can’t seem to cope with anything and think they can sue for being uncomfortable? Believe it or not, if it can be proven that the images have violated the teen’s rights to a personal life, her parents could lose the case and they could have to pay some financial compensation for her pain and suffering, and will also be liable for her legal costs. UNREAL. According to accounts, when the teen girl asked her parents to take them down, they refused. She stated, “I’m tired of not being taken seriously by my parents.” BINGO!!! There lies the issue. A frivolous lawsuit because a teen feels slighted by her parents. A 18-year-old woman from Carinthia is suing her parents for posting photos of her on Facebook without her consent. She claims that since 2009 they have made her life a misery by constantly posting photos of her, including embarrassing and intimate images from her childhood. Her lawyer Michael Rami says that to date, her parents have posted 500 images of her on the social media site without her consent, and he believes she has a good chance of winning in court. The shared images include baby pictures of her having her nappy changed and later potty training pictures. “They knew no shame and no limit – and didn’t care whether it was a picture of me sitting on the toilet or lying naked in my cot – every stage was photographed and then made public,” the 18-year-old said. The photos were shared on Facebook with her parents’ 700 friend. Despite her requests, they have refused to delete the photos – prompting her to sue them. “I’m tired of not being taken seriously by my parents”, she said. Her father believes that since he took the photos he has the right to publish the images. A black Arizona man, Steven Hildreth Jr. posted on Facebook an incident he has with police officers and praised then for their professionalism. The Tucson police pulled over the black man because he was driving with a headlight out. It also turned out that Hildreth was wearing a hoodie and was packing a Glock in his car. According to race baiters and the Black Lives Matter agenda folks, this black man should be dead, killed at the hands of racist cops. The story could not be more different. The police asked him if he had any weapons and Hildreth replied, “yes sir. 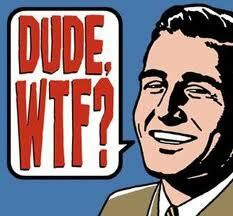 I’m a concealed carry permit holder and my weapon is located on my right hip. My wallet is in my back-right pocket.” Read the entire story and his Facebook account. of what happens when you simply act with respect. The Facebook post has gone viral, for all the right reasons! However, what is truly pathetic and sad are all the comments that proclaim Steven Hildreth Jr. to be an “uncle Tom” and “house ni**er” for simply behaving and acting with class and respect. This speaks volumes to those who posted the comments. “The officer asks me how I’m doing, and then asks if I have any weapons. ‘Yes, sir. I’m a concealed carry permit holder and my weapon is located on my right hip. My wallet is in my back-right pocket,” Mr. Hildreth recalled in the post, which amassed more than 176,000 shares since Tuesday.